How you can have a great hi-fi system, with plenty of inputs for all your devices, for less. For quite some time we’ve been seeing this trend where people sell their supposedly crappy old stereos and replace them with these all-in-one plastic designs or the iPod dock stereos. Not only are many of these new systems hugely overpriced but the sound quality is compromised due to the tiny speakers and the plastic enclosures. And don’t even think about trying to use them for a party because you’ll be lucky to get over the sound of that annoying guy talking to you by the drinks table. 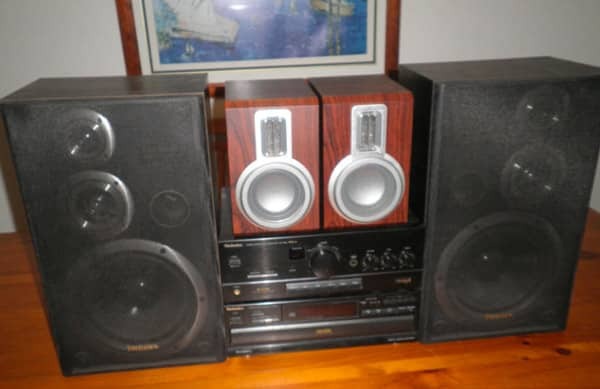 The worst of it is that people are giving away their old wooden speaker boxes and stereos to ‘upgrade’. Of course, some of these are pretty cheap too but why waste your money when you can get something that sounds waaay better for a fraction of the price? With a little know-how, you can keep those old speakers and with some eBay hunting and a small lead to connect your DVD player, iPhone or MP3 music player you can have something that sounds much better and costs less. 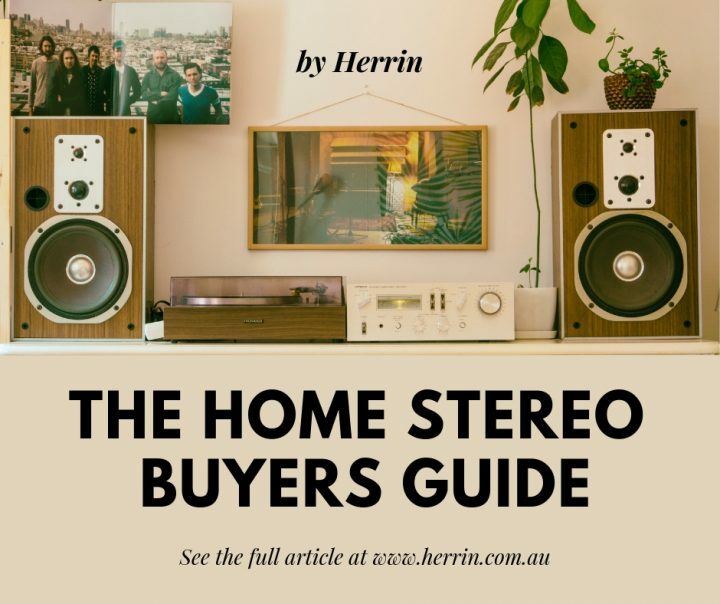 The speakers are the most critical part of a good stereo system and even if you’re not looking for a lot of volume (which is nice to have as well) it’s the warmth and tone that is most important. With some careful positioning in the room and the right connecting components, it’s much easier to get that full, inviting sound that makes your music collection sound great. Wooden is better than plastic. If they have a good weight to them, that’s one indication of quality. Pick them up if possible and make sure nothing is rattling inside and if you can see the speaker cones, check to make sure they have not been eaten out my rats or cut by little humans. If you’re buying over eBay, a decent size is good, but it’s ultimately the resonance and sturdiness of the box and weight of the speaker cone that determines the quality of the sound. Some good brands: Yamaha, Bose, JBL and Sony. A few rarer but excellent brands would be Tannoy or Mordant Short. Now you may already have this from your previous setup but it’s a what provides the juice to the speakers and gives you inputs for CD/DVD players or your iPod or even your TV. Another advantage of this kind of setup. Well-known brands are the safest bet here. You want enough inputs for all your devices, and some even have room for extra speakers if you’re going to run a long set of leads to another room perhaps. Some solid brands: Yamaha, Sony, Marantz, NAD, Onkyo, Pioneer, and Denon. The leads here take the signal from your DVD player, TV or iPod/smartphone to your power amp and then from the power amp to your speakers. 35mm inch stereo headphone jack to stereo RCA lead – from mp3 players or iPods to the inputs on the back of your power amp. 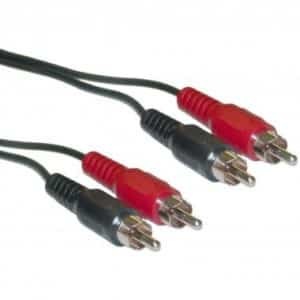 Stereo RCA to RCA leads – This connects other common devices like DVD players and TV sets to your power amp. Speaker leads – This goes from your power amp to the back of your speakers and carries a slightly juiced (but not at all dangerous) signal to your speakers. Often these leads are bare wire like in the picture below, but it depends on the connections on the power amp and the speakers. You don’t need to sell or trash those old speakers unless they sound horrible or are about to die. The new all-in-one design iPod dock and stereo systems are often much tinnier sounding than larger wooden speaker boxes with a half-decent power amp. 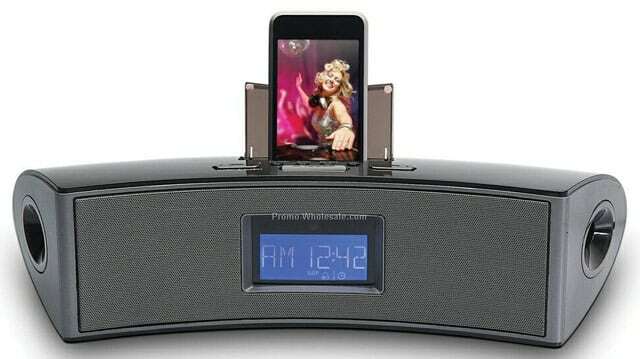 A power amp allows you to have various inputs from different devices you may have. The more power you have the cleaner the sound at low volumes but this also means you can party when you need to as well. You can buy on eBay what you may be missing from this setup, anywhere in the world at a fraction of the price of new. HOT TIP: Use the advanced search on eBay to find people closer to you first. 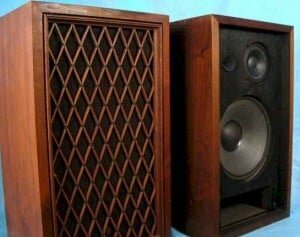 A pair of decent weighted and robust speaker boxes, preferably wooden. A power amp, with multiple inputs. These inputs would generally be RCA. 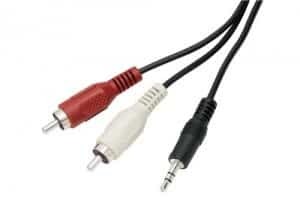 A pair of Stereo 35mm Jack/RCA to RCA leads as illustrated, for every device you want to input. $60 on eBay for the lot! If I have missed something important here, please feel free to ask a question in the comments, and I will reply and update. Happy music system hunting. It’s worth it. Music sounds so much better this way.